This post looks at a few Japanese game middleware companies which are not necessarily well known outside of Japan. There was a time when you could joke that the only tool needed by the Japanese game industry was Excel. That was referring to both the lack of focus put on the development of nice tools and middleware (at least compared to the West) and the maestria demonstrated by Japanese developers when using Microsoft’s spreadsheet. If the Japanese industry is still somewhat lagging behind in terms of tools and middleware in general, it has certainly made a lot of progress recently and we are starting to see some very nice tools emerge. I’m listing below a few Japanese game middleware companies I know of (mostly because I know people working there or I have had business with them). Although I’m indicating links to their English pages (when they exist), note that the Japanese pages may provide more information. The modern history of CRI Middleware started in 2001 but before that they were known as CSK Research Institute (CRI) and did some research for Sega in the 90s, mostly on audio and video encoding. Now, their products are regrouped under the CRIWARE umbrella and include ADX2, Sofdec2 and File Magic PRO. ADX2 is the leading game audio middleware in Japan with more than 2800 games using it. It has all the features you would expect from a game audio middleware and then some. Cherry on the cake, it’s quite easy to use for both sound designers and programmers alike. There is also a free ADX2 LE version available for game indie developers. Sofdec is a movie encoder / decoder (it was recently used on Destiny for example). File Magic PRO – as you probably guessed – is a file / packaging system. There is also a CRIWARE Unity plug-in including all of the above as a package for Unity. Silicon Studio may be one of the best known Japanese middleware providers in the West as they have been exhibiting at GDC. 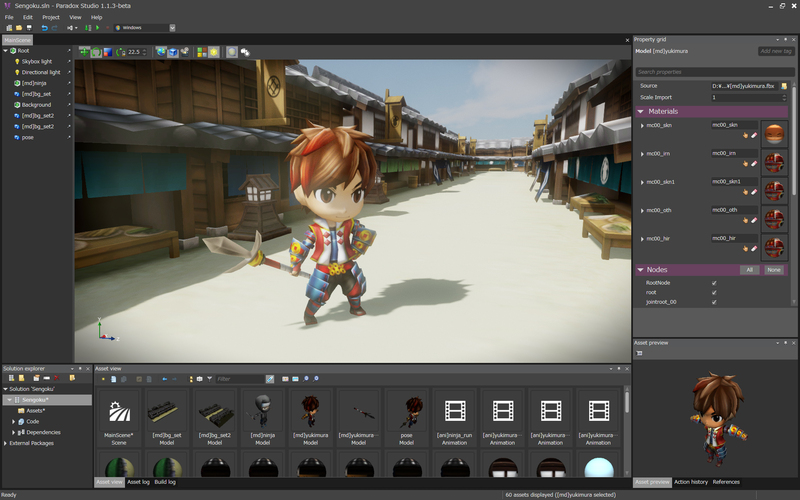 They are focusing on both full-fledged engines (like Orochi or Paradox, a new open-source C# game framework), and graphics engines (like Mizuchi, a real-time rendering engine and Yebis, a middleware for advanced optical effects used by Final Fantasy XV). By the way, if you are wondering where all these names came from (well, except for Paradox), it’s from Japanese mythology. As a side note, since I regularly receive emails about people wanting to work in the game industry in Japan, it is worth mentioning that Silicon Studio have a lot of foreigners on staff so that’s probably one of your best bets if you want to work in game technology in Japan. Matchlock are somewhat related to Silicon Studio, they have the same CEO. 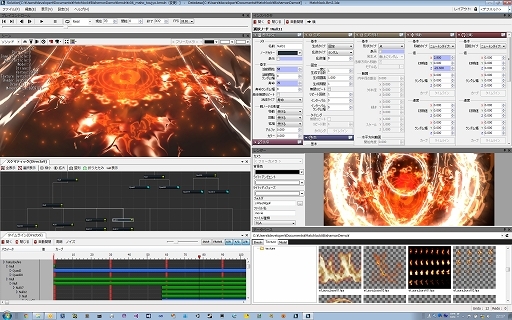 Their product is Bishamon, a middleware specialized in particle effects. Unsurprisingly, Bishamon also comes from the name of a Buddhist deity. Don’t get fooled by their name, WebTechnology are mostly building graphic tools and technologies. One of them, relatively popular among indie game developers is OPTiX SpriteStudio which allows you to create 2D animations for your games. 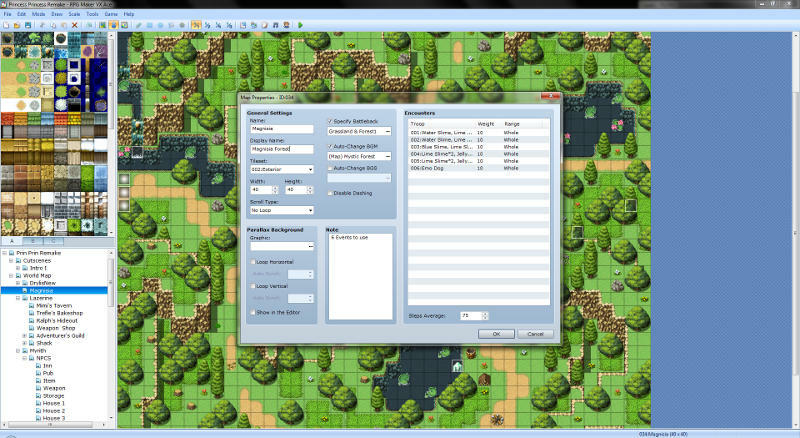 Although Enterbrain is probably more known as a publisher of game-related magazines such as Famitsu, they are also publishing tools to build games, the most famous being RPG Maker (the latest version is RPG Maker VX Ace). I don’t know them very well, expect for the fact that one of our former interns is now working there :-). They are making a game engine. I would not be a good founder if I didn’t talk about our little venture, Tsugi. Based in Niigata, we are developing sound tools and middleware for the game industry, putting the emphasis on workflow efficiency and creative options. 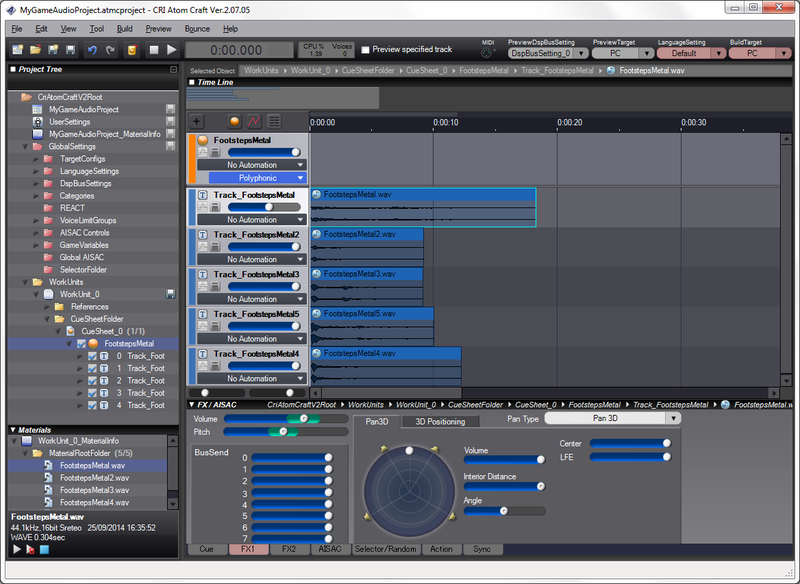 Professional software includes Alto, an audio localization tool, AudioBot, an audio batch processor and QuickAudio, a sound extension for Windows Explorer. GameSynth is our upcoming procedural audio middleware. 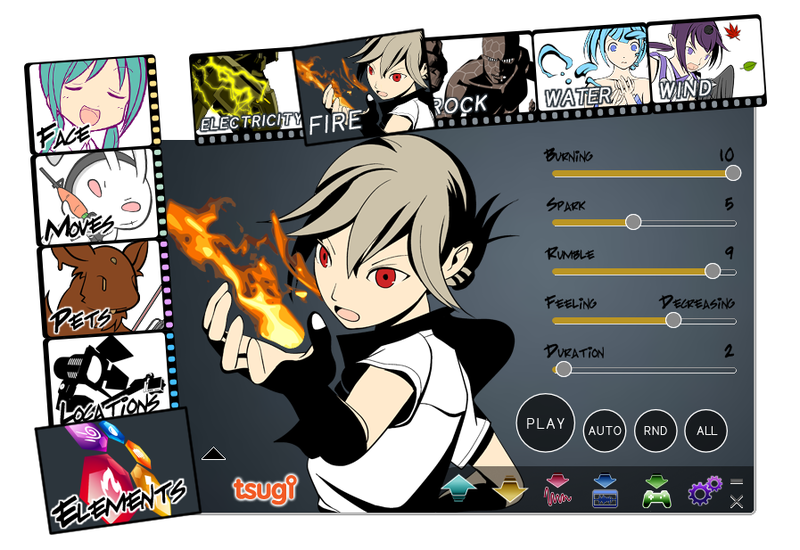 We also have two sound effects generators for indie game developers, DSP Anime and DSP Retro, which enjoy a nice notoriety in Japan. Do you have any questions about Japanese tools and middleware? Don’t hesitate to ask! I will try to update this post.